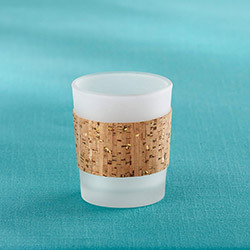 Frosted glass and gold flecked cork combine to create our Kate Aspen Tropical Chic Gold Glitz Cork Wrapped Tea Light Holder! 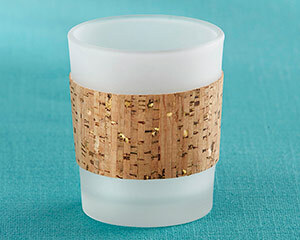 Perfect for using to create centerpieces or to add drama to place settings, the combination of cork and gold fleck blends so well into all different sorts of event themes. 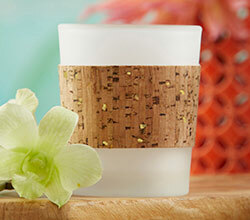 Sold in sets of 4, these tropical inspired votive holders work beautifully in celebrations of any size!